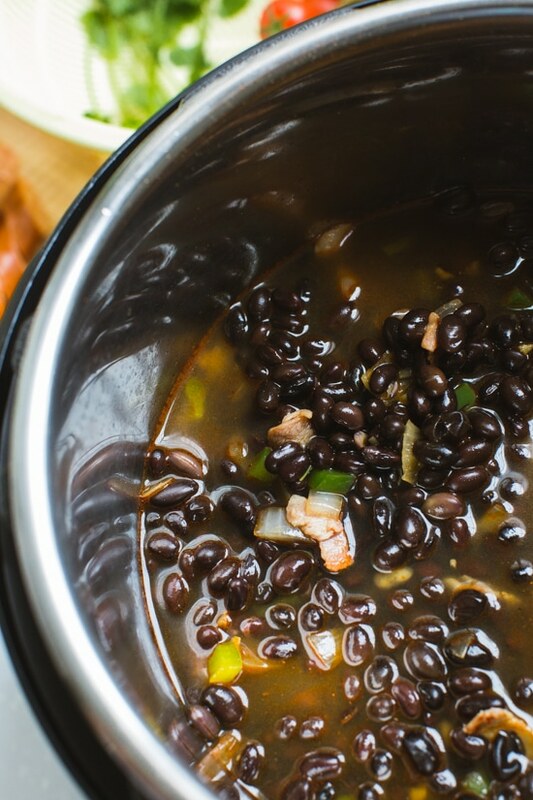 These simple and tasty black beans, flavored with bacon, onion, garlic, poblano and lots of spices, have smoky yet mild taste that pair well with lots of dishes. Hey there, I’m Heather K. Jones. I’m a registered dietitian, the nutrition consultant for Skinnytaste, and the founder of Smaller Size Bigger Life, an online coaching program for women who struggle with emotional eating, overeating, or body image issues (click here to find out more about my free weight loss class releasing April 1st). I’m so excited to share this recipe today (thank you, Gina! 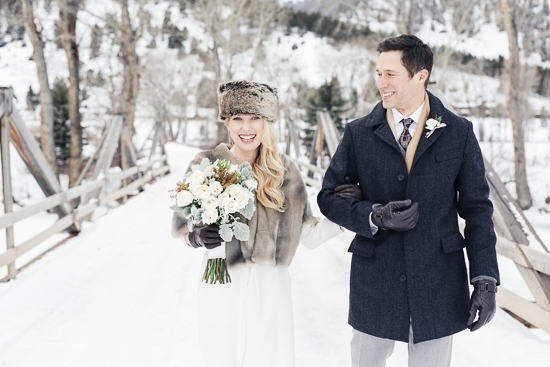 ), because last month my husband and I eloped! 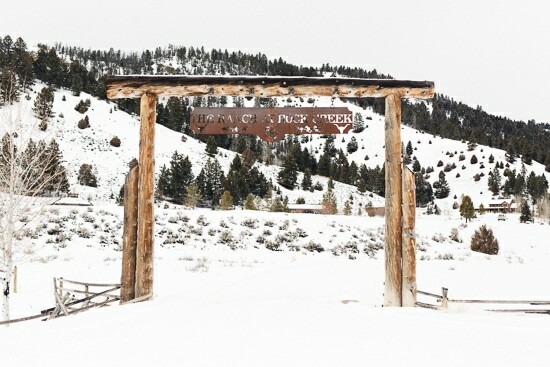 … in the snow! 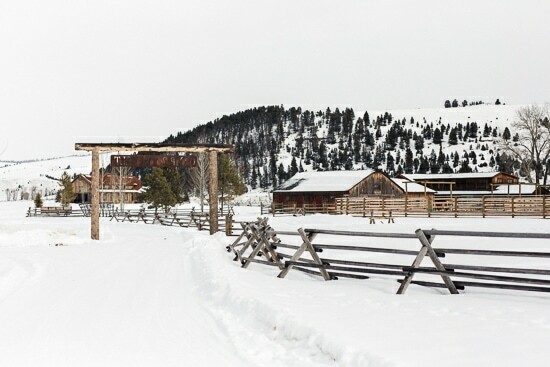 … in Montana at the beautiful Ranch at Rock Creek. The food at the ranch was phenomenal, and these delicious black beans are no exception. 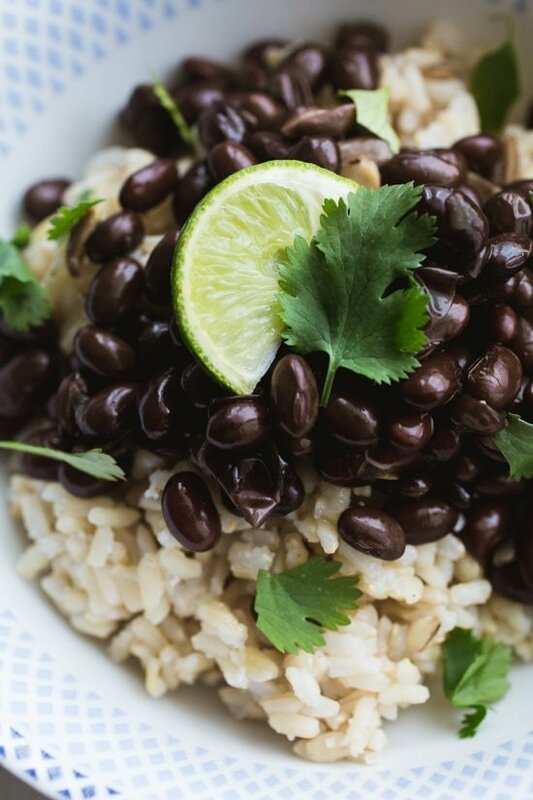 And thanks to the magic of a pressure cooker, you can make these dry beans from start to finish in under an hour! There are so many ways to use these black beans. You can serve them over rice… you can add them to burritos, quesadillas, enchiladas, or taco salads… or you can serve them with a poached egg topped with chopped tomatoes, avocado, and scallions. This recipe makes a lot of beans, but you can easily freeze the extra cooked beans and defrost them for later use. Pressure cooker pre-soak: Rinse beans and add them to the Instant Pot with 8 cups of water and 2 teaspoons of Kosher salt. Close the lid and pressure-cook in manual mode for 4 minutes. When cycle is finished, switch to “Keep Warm” mode for 10 minutes. Drain and rinse beans. Meanwhile, in a small bowl, combine the cumin, chili powder, coriander, smoked paprika, 1 tablespoon kosher salt and pepper. Switch to pot to “Sauté” When hot, add the bacon and sauté for 1 minute. Add the onions and poblano and sauté for 3 minutes. Add the spices and the garlic and sauté for 30 seconds more. Pour in broth and drained beans and mix well. Place lid on Instant Pot, make sure steam release handle is on “sealing.” Push “Bean/Chili” mode and cook for 15 minutes. Allow pressure to release naturally then add Tabasco and mix well. For a deeper flavor, allow beans to sit in “Keep Warm” mode for at least 30 minutes. I know I asked before but is it red chilli powder or chili powder (American style) that you use for chilli? I am used to cooking with chili powder that is the pure Chili’s. Anyone who has made appreciate your feedback in which one you used. Thanks. Can I cut the recipe in half? Would the cooking times be the same? And the same amount of water during the presoak? We loved these: tasty, simple to make, and easy to serve with a variety of things. We enjoyed them with brown rice. I will surely make these again. Cooked with high pressure on manual for 30 min as per an earlier comment in this thread. Worked perfectly. I have another question. Can I double this recipe in the Instant Pot? I have a large amount of people coming over for a BBQ and I want to serve this as a side. I made these last week and they phenomenal! Thank you! Would I still do 30 minutes with no Bean/Chili button? Or longer because it’s more? I don’t have a “Bean/Chili” mode on my IP. Can I just use Manual for 15 minutes? I just saw the comment above mine from January 11, 2019 that answers the question. I’m making these tomorrow night and can’t wait! Thank you! I have an instant pot but don’t have the chili/ bean button – do I just use the manual setting for 15 min then? These look great! Thinking of making this over the weekend – what could I replace the bacon with to keep this vegetarian, yet still have that depth of flavor? Thanks! Excellent taste! I am definitely making this recipe often, as it’s a great (and inexpensive) meal. And I’m part Cuban, so I know my black beans! Thank you! 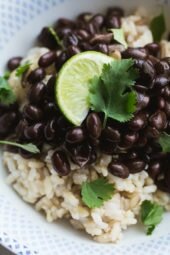 My favorite black bean recipe! Absolutely delicious! Thank you for posting it! Absolutely delicious! Made these last night and served them with Gina’s Jerk Pork and Cilantro Lime Rice. The whole meal was a hit! Thank you, Gina! I have all your cookbooks and love your recipes! Thank you for sharing this recipe. My family LOVED it. My husband said they were amazing and my daughter even asked for seconds. I didn’t add Tabasco to the whole pot. We just added to our liking. If I want to make this meatless, what can I use instead of the bacon, or can I just leave it out? I make this every 2 weeks for my husband and myself. We freeze half and keep the other half for the week. We love it – I sometimes have a hard time finding poblanos so I replace with Jalapeños often. We like it on the spicy side so I also include some seeds to increase the heat. It is a great freezer recipe as well. 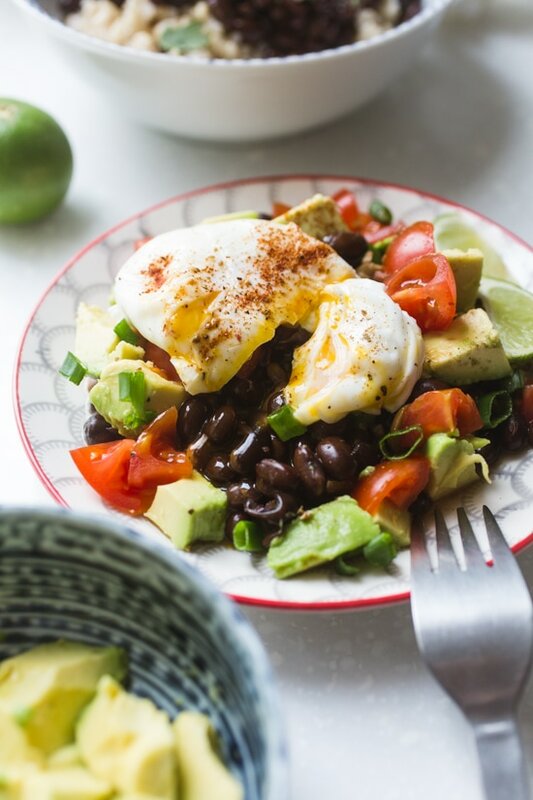 If you are trying to increase your bean intake in your diet this is a great recipe we never get tired of it. It goes with everything. Hi There! I’m curious to know if these are truly 0 SP as indicated above… they came up in my search for zero point meals. These beans were so delicious! So flavorful! I’m bringing them to a taco party tonight and I think they will be a hit, but I won’t be sad if there are leftovers. Love, love, love this recipe! I make a double batch, and my boys gobble it up every time. Some changes I make, depending on the ingredients I have on hand: use smoked ham hock and smoked jalapeño sausage instead of bacon, increase the number of poblanos, onions, and garlic, and reduce the salt in the cooking phase a bit. The smoked paprika and the coriander are “the secret sauce,” in my opinion – they give a real depth of flavor over other recipes. These beans are flavorful and go with a variety of dishes. This looks so good, can’t wait to make them! If I soak the dried beans overnight, how long will they take to cook in the IP? Thanks! These are some of the best black beans I’ve ever had. 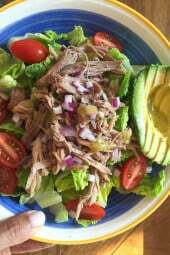 I’ve made them numerous times, and I shared the link to the recipe with my instant pot friends and they all love them, too! Very tasty. Best black beans I have made in the Instant Pot. This will definitely be a part of our normal rotation. I don’t usually leave comments but these beans are absolutely incredible! I ruined the batch of rice I made to go with them last night so I threw some mixed greens in a bowl, put the beans over that with some avocado, fresh pico de gallo and a little shredded light cheddar. OMG. Amazing. I’m having them for lunch today. Thanks, Gina! This is by far one of my favorite recipes from this site. Not to mention how easy it is with my Instant Pot! The flavor is amazing; they freeze great; and make great leftovers. If I want a few more carbs I serve over brown rice with diced tomato, green onions, avocado, a squeeze of lime and extra green pepper sauce. For low carbs the same toppings (minus the rice) and a soft boiled egg as suggested. SOOO Good! Does Chili powder mean the american version of Chili powder, or what would be used in Indian cooking as in real Chili’s ground into powder with nothing else added? Also want to verify infact it is 1 tablespoon of salt and pepper. Gina, would I be able to apply the same method and timing in this recipe to your black eyed pea recipe? I prefer to use the IP over the slow cooker. I’m one of the lucky few in Houston right now that still have electricity and haven’t been flooded. I can’t get to a grocery store, but have plenty of dried beans. These are fantastic, inexpensive, and able to feed a family of four for a couple of days. It’s an added bonus that they taste fantastic! Glad you are OK, prayers for all those affected! Hi there. I just want to offer feedback/ask a question. I recently made your recipe in an Instant Pot. Firstly, as others have said it took way longer than stated to cook, but that’s ok. I get that beans can vary. The important issue is the salt. My beans were pretty much ruined because they were WAY too salty. I did a little research, and figured out that it could be that I was lazy and used sea salt (finer “grains”, but I think a lot LESS salty than “regular” salt) rather than kosher (large “grains”). Is that why? I also noticed that most other recipes call for 1 – 1 1/2 tsp salt. versus your Tbsp.. Again, is the difference the kosher salt? So, if that is the issue, it might be helpful to put a warning in the recipe, or an alternative, like 1 Tbsp KOSHER salt (or if using regular, only 1 tsp.). I imagine your recipe is perfectly good when the salt’s right. These are delicious. I always use canned beans because I haven’t liked the texture of dried beans in my recipes. The pressure cooker “soak” makes the difference, and cooking in the pressure cooker gives creamy, cooked-all-day results. I made these beans tonight and WOW! Amazing flavors! Thank you for sharing this recipe! LOVED! This recipe. Served as a side with tacos, then later as breakfast with eggs and avacado. Entire family enjoyed. I have made these beans three times in the last week. 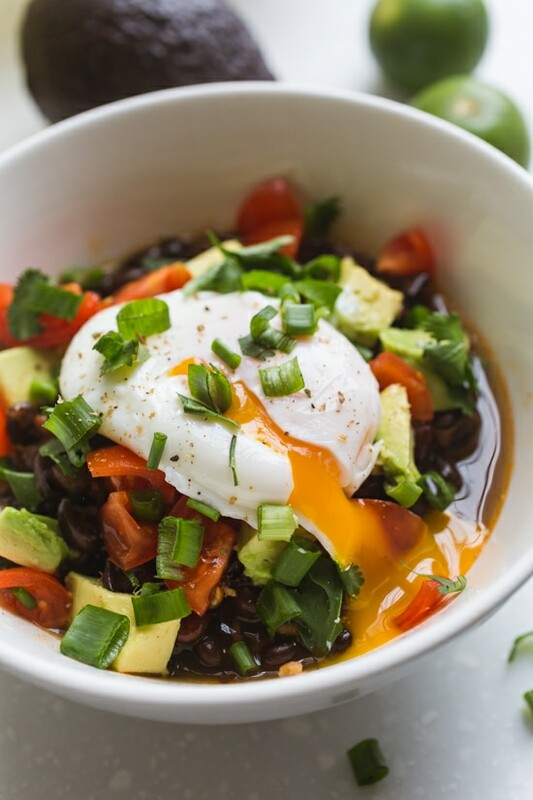 They are without a doubt the best black bean recipe I have ever made. Thank you Gina, thank you Instant Pot. I just made this recipe using the slow cooker method described in the comments and it is absolutely delicious! My only change was that I substituted the poblano, which I forgot to buy, with a mixture of fresh jalapeno and sweet peppers. I will definitely be making this recipe again! A previous commenter mentioned their beans were taking a long time to cook. I have heard that older beans need more cooking time, and it’s really hard to know how old dried beans can be. Usually I will just keep cooking them until soft. Love all of your recipes. Just sent two of my friends your recipes. So great to eat great food and avoid the calories. We brag about your site at our Weight Watchers meetings! I halved this recipe, and followed everything else and they weren’t even close to done. I cooked for extra time twice and they still aren’t done. Any suggestions? Can I make these stovetop? Or crock pot? Thank you! Yes, stove top double the time and add a little more liquid. Can you use canned black beans? Hi Amy – no, you have to use dry beans. I forget the ratio. Is it 12 ounces of these to a recipe that calls for a can of black beans? Thank you. Congratulations on the marriage and glad you celebrated in my beautiful state 🙂 Looking forward to trying these in my IP. Love this idea but dont have either a slow cooker or pressure cooker. Is this recipe still possible using the stove top? Hi – Just double the cook time on low on the stove over low heat adding more liquid as needed. I ALWAYS have a ziploc full of black beans in my fridge, I just make them in the crockpot. Super easy to do for those wondering how, just takes a little longer than the instant pot. Soak them overnight and then drain off the water in the morning and add fresh water along with all these ingredients. Mine usually takes about five, maybe six hours on high to cook. I’d saute all these ingredients first before adding them. Oh, and check the water every few hours and make sure you have enough, nobody wants burned beans, haha. Soaking them overnight is the most important step. I love beans, cheap easy, SO VERSATILE. Thanks so much for giving me a new way to prep them! Congratulations on your marriage! Yes a sub to the instant pot – crock pot or stove top please! These look yummy and a great side dish!! Just double the time on the stove, covered low heat and add more liquid as needed. I too would like to adapt this to a slow cooker as I don’t have an IP. I’m see tho maybe I should buy one. Congrats on your marriage, your picture is beautiful. 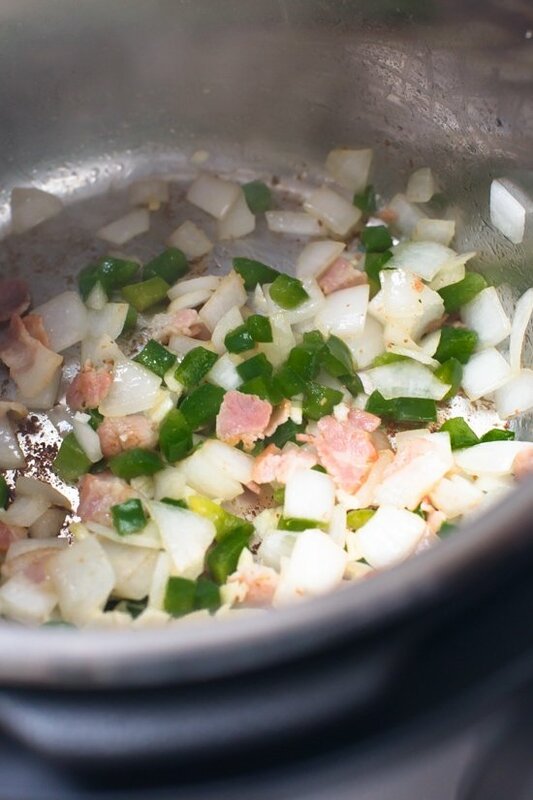 saute the bacon in a pan for 1 minute. Then add the onions garlic and poblano and sauté for 3 minutes more. Transfer that to the slow cooker and add the beans, spices, and 6 cups of broth. Cook on low for 8 hours. Mix in the Tabasco and serve. Congrats: to you both. What does the number mean in receipes mean when they say ww points : then have another number ?? should I add that to the ww. Points too ? I just joined ww. But really like your receipes but now not sure if i add all them together or what.. Please help.. Tk. you . Good luck to both of you..
Hi Florence! 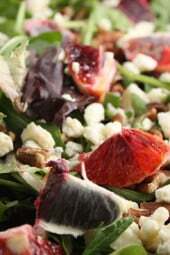 The WW Smart Points are 3 for this recipe, in some recipes both the SP and the Points + listed as well. Thank you ,I was baffled by this. I love the receipes that I have tried of yours..
Congratulations! You are stunning. I wish you many years of happiness. These look great, thank you for sharing! Can it be adapted for a slow cooker? Thanks for your response, can’t wait to terry them! I don’t have an IP (yet)…how could this be otherwise (ie. slow cooker, stovetop, etc.)? What if someone has a slow cooker but not a pressure cooker? Do you have a substitute recipe for the slow cooker? 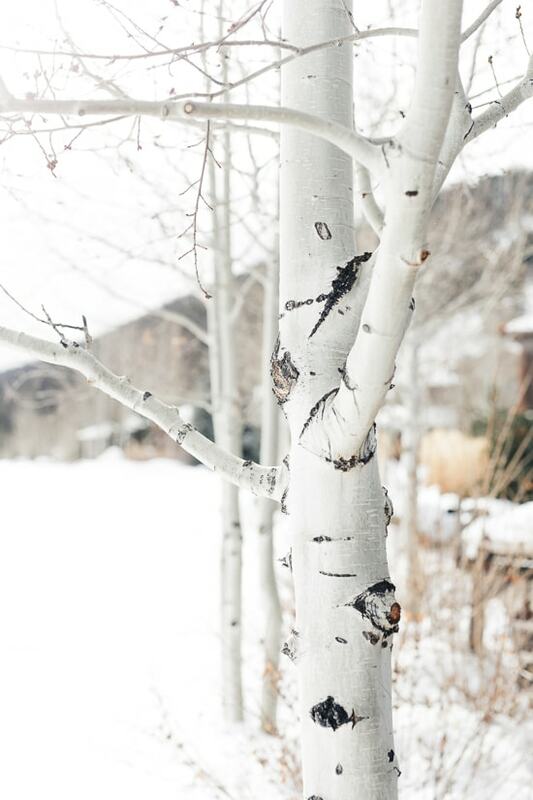 WISH YOU GAVE DIRECTIONS FOR DUTCH OVEN OR SLOW COOKER…. I DON’T OWN AN INSTANT POT…. THEY LOOK GOOD THOUGH…. thanks for the slow cooker instructions – what would you do to prepare the dried beans since you’re not soaking/precooking them in the instant pot? Hi Beth – since you cook them all day in the slow cooker you actually you don’t need to soak the beans overnight. These sound amazing, but I don’t have an instant pot. How would I convert this to a crock pot? Thanks! Any guidance for making this without a pressure cooker – either stove-top or slow cooker? Sure for the stove you can double the cook time on low, you may need to add a little more liquid. Looks good! Would like non pressure cooker alternative , as I don’t have one. Thanks! Just double the cook time on low on the stove over low heat adding more liquid as needed. My pressure cooker is not an Instant Pot. Do you know what pressure settings would be comparable? Thanks! Sure, if it’s a stove top you can cook it on low heat once it comes to pressure for same time. No, it;s an electric pressure cooker, just need equivalent pressure settings. Congratulations! Looks beautiful. And the beans sound delish. But I’m not on the IP bandwagon as of late. Is there a crockpot version? Thank you ! I don’t own an IP … not sure yet if I want one. Trying this recipe today. Love your site and all the wonderful recipes!!! The link isn’t working for the class beginning April 1st. I would really like to check it out. Not sure if it is me or there is something wrong. Thanks for any help. Thanks I just fixed it! Going to check it out now. Thank you so much Gina. Congratulations! Wishing you a lifetime of love and happiness. Heather, congrats on your marriage! What a lovely couple! This looks yummy. I’ve been wanting to make black beans in the IP, now I don’t have to look for a recipe. Might leave out the Tabasco, though. Hi Tina from a fellow Jersey Girl! The green Tabasco isn’t too hot at all! Although since I love spicy food you might not want to take my word for it. 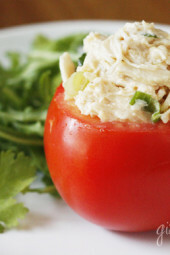 Hi, I’m Gina Homolka, a busy mom of two girls, author and recipe developer here at Skinnytaste.com. My food philosophy is to eat seasonal, whole foods and maintain good portion control (everything in moderation!). ©2008-2019 Skinnytaste. Design by Purr.